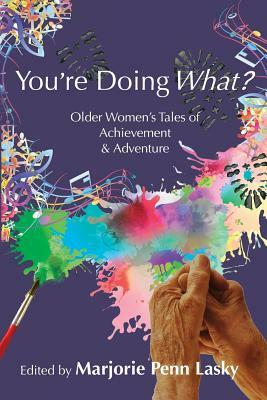 In this book, you'll see women of different races, classes, and sexual orientations face various challenges and choices as they age. A loving daughter recounts how her mother moved beyond a "bare and unadorned" Mississippi upbringing. A California Chicana counters her mother's denial of her Mexican heritage. A bisexual polyamorist rejects a life like her mother's. There are (relatively) young elders - the writer/teacher/poet grappling with her legacy - and older ones - the nonagenarian New Englander investing (monetarily) in the future. And there are women who refuse to succumb to disabilities - like the retired history professor, with rheumatoid arthritis, now writing poetry. All are embracing new adventures and changing what it means to be an "older woman."